Back in 2016, we released our original London Startup Guide – a comprehensive list of the top businesses, spaces, networks and influencers that live and work in the Big Smoke. But two years is a long time. A lot can happen between then and now. A lot like: Brexit, Theresa May as Britain’s Prime Minister, Donald Trump as the US President, Alphabet beating Apple as the world’s most valuable company, the discovery of a mostly underwater continent, Adele releasing ‘Hello’ (remember that? ), the resurgence of AI, the failure of Powa, and well… it’s a long list. A lot has happened – and, despite all the speculations and horror stories, London still remains the startup capital of Europe. The city still houses more unicorns than any other European startup ecosystem – more than Berlin or Amsterdam, and the ecosystem is thriving. But with the events of the past two years, the changes in the London startup ecosystem are pertinent and tangible. With this in mind, we’ve created a new Need to Know London Startup Guide 2018 – the top businesses, spaces, networks and influencers have been included for a comprehensive update to the capitals thriving industries.For those in non-tech positions, consider this your roadmap to finding the greatest places to work, the most important people to follow, and the best startup jobs in London. In the world of startups, innovation, disruption and startups, traditional offices and cubicles don’t even register. 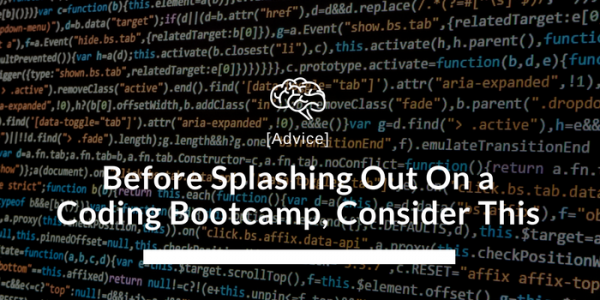 Instead, it’s coworking spaces that are populated with entrepreneurs alike. And why not? These offices offer not only have a working option for just about everyone in every situation (hot desk, fixed desk, private office, etc. ), but they elegantly combine café culture, members clubs and serviced offices into a well-oiled working machine. 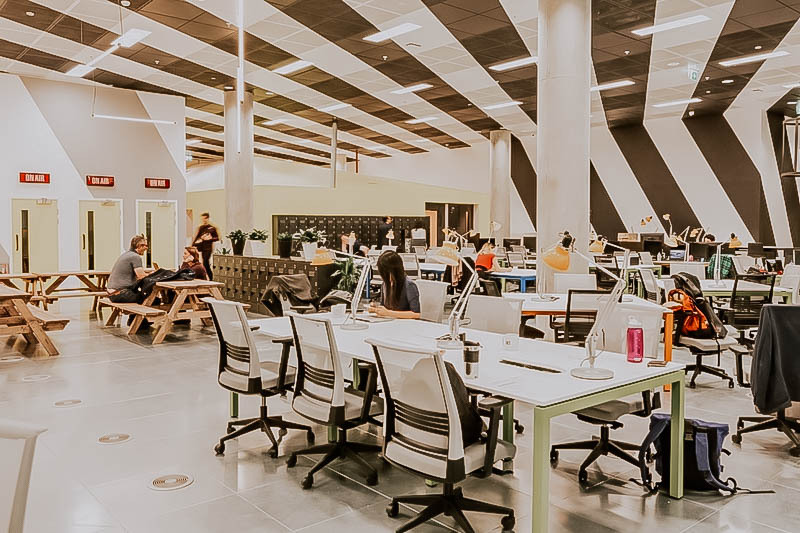 These are some our favourite London coworking spaces, grouped by price (on lowest price available, assuming unlimited work hours; price per person, monthly). 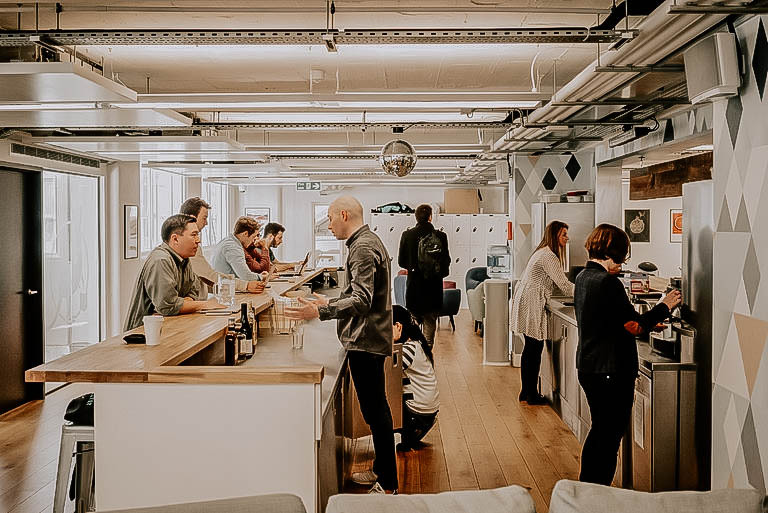 To find great co-working spaces, offices and desks in London, check out Hubble, a London based startup connecting entrepreneurs with the space they need to succeed. 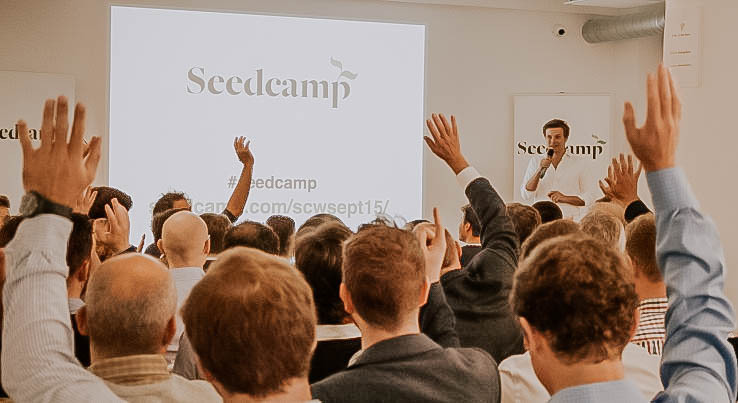 Seedcamp event. Photo courtesy of TechCrunch. As the Startup Capital of Europe, London has built more billion dollar companies and startups (unicorns), than Europe’s other Startup Hubs – such as Berlin or Amsterdam. Putting together GP Bullhound’s latest Titans of Tech report and TechCrunch’s updated Unicorn leaderboard, we have collected all of London’s unicorns – present and past. OakNorth — a firm focused on unlocking the potential in bespoke SME lending globally using its data and technology platform. Improbable — a London-based startup that has developed a platform for third parties to build vast virtual and simulated worlds. FarFetch — brings together independent fashion boutiques to provide a wide selection of elegant brands and styles. 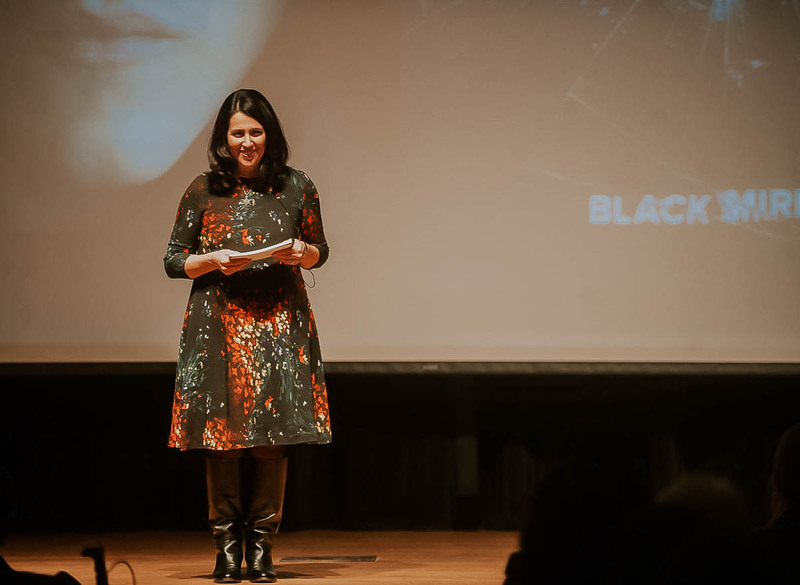 Blippar — a technology company specializing in augmented reality, artificial intelligence and computer vision. Deliveroo — a technology company that focuses on marketing, selling, and delivering restaurant meals to the household or office. Funding Circle — the world’s leading online marketplace for business loans, matching businesses who want to borrow with investors. Wonga — an online payday lender that offers short-term personal cash loans to UK consumers. ASOS — an online platform engaged in the retail of fashion and beauty products for men and women. IHS Markit — a financial information services company helping businesses improve operational efficiency and meet regulatory requirements. Just Eat — Just Eat provides convenient and easy access to a huge variety of delivery restaurants and order food online. RightMove — the UK’s largest property portal allowing home hunters to find details of properties to buy or rent. Zoopla — a property website in the U.K. that combines property listings with market data, local information, and community tools. BooHoo — Boohoo offers an online store that enables shoppers to choose and buy from a range of clothing, accessories, and footwear. Mimecast — a SaaS-based email management platform enabling companies to administer their business communications and data. Skrill — an ecommerce platform that facilitates online payment transactions for businesses and individuals. Shazam — a mobile app that connects hundreds of millions of people around the world to the content music, artists and brands they love. Outfit7 — Outfit7 develops mobile apps and games for the iOS and Android platforms. London startup events and meetups. Photo courtesy of TechCrunch. Silicon Drinkabout — Weekly networking meetup for startups and techies. Baroness Joanna Shields. Photo courtesy of the Daily Collegian. Co-founder and Managing Director of Startupbootcamp and a strong advocate of speeding up financial processes and leaving banks. Prolific startup blogger, Managing Partner at Forward Partners, and on a mission to “invest in the UK’s best ecommerce companies”. American-born Silicon Valley veteran, founder of Passion Capital, and has funded over 50 early-stage tech startups, including GoCardless. Founding member of Tech London Advocates, and tireless campaigner constantly pushing for faster broadband speed (among other things). Baroness OBE, previous CEO and Chair of Tech City UK, and the UK’s first Minister for Internet Safety and Security from 2015-17. 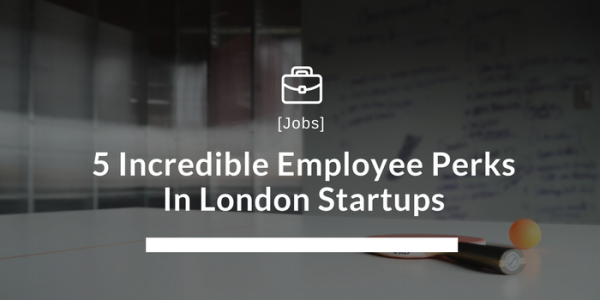 London Startups hiring marketing, operations, sales and account management positions through Kandidate. If you don’t find what you’re looking for, attend London’s largest startup career fair: Silicon Milk Roundabout, or contact us. 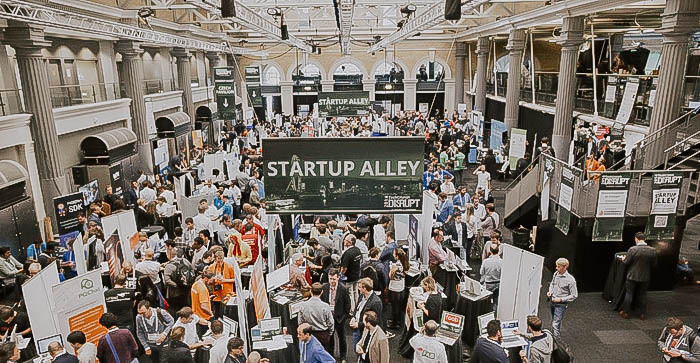 The London startup scene is forever changing, growing and morphing as new technologies are created, demands for space and skills increase and new generations of entrepreneurs start their journey from Europe’s startup capital. 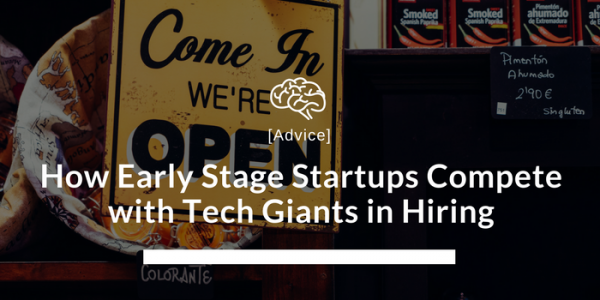 However one thing is for sure, despite all that can happen (and has happened) – the city and it’s digital industry will only continue to grow, and with it opportunities for all passionate and ambitious startup employees, and those wanting to transition into the world of innovation and new ventures. 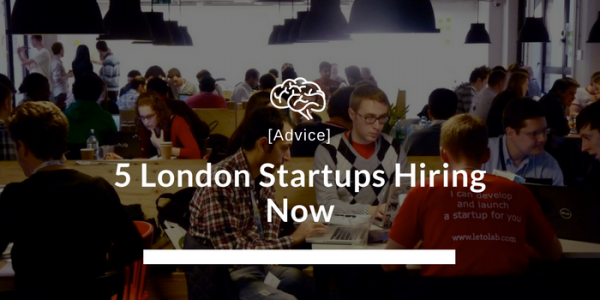 Looking for startup jobs in London? New openings for non-tech positions in marketing, account management and sales. Join in 5 minutes and get recommended to founders and CMO’s. Did we miss something in our London Startup Guide 2018? Tweet us @KandidateHQ and we’ll add it where relevant! Marketing Lead at RiseHigh/Kandidate. German by blood, but British-educated and American in all other matters, Mel has been writing for RiseHigh since 2015. When she's not writing or knee-deep in marketing, you'll find her adventuring outdoors.